It used to be people took trips to the Dominican Republic to vacation in its all-year balmy weather, along palm-fringed beaches, under warm, clear blue skies next to warm, clear blue water. Throw in a hammock, a piña colada and a lazy afternoon and you have the perfect Caribbean destination. But these days there is another reason to go—health and beauty. 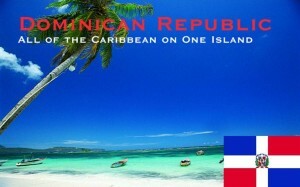 With the high price of medical and dental treatment in the United States, Canada and Europe, people come to the Dominican Republic for quality services in elective surgery, plastic surgery, heart surgery, cardiology, eye surgery, cancer treatment, orthopedic work, fertility treatment, wellness and spa, anti-aging, weight loss and dental work of all kinds including cosmetic treatment and implants. With the current advancement in minimal intrusion, facial plastic surgery, which is accomplished with laser accuracy, a politician, for instance, can come down here for a 10-day trip, get surgery, relax and do some work as well. When the surgery is in a series of visits over a few years as we get older, it can be minimally done and minimally noticed, but when finished, can create results making a person look 15 years younger and even more attractive. Perhaps more attractive than when a student at Yale. While here, why not throw in liposuction to rid the body of that motion-limiting fat around the midsection, all for less than back home? The price of a facelift in the United States is about $9,000. In the Dominican Republic, the price is about $4700—a savings of almost 50%. Today’s advanced facelift surgery yields a no-stretch look to prevent that silly facial expression people get several years later. The Dominican Republic is the near-home destination for affordable cosmetic surgery. For information about available surgeons, email info@sodocipre.net or call 809-682-5808l. In the United States where a three unit bridge (2 crowns and one pontic) can cost between $4500 and $6000, in the Dominican Republic, it can be $900-$2000. 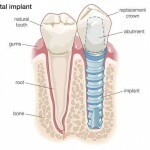 For implants, including crown, in the States it will range from $3000 to $6000, in the DR, the range is $1500 to $2700, less expensive per tooth for several implants. In the DR, upper and lower dentures are about $1500, depending on the work. The north coast is the most naturally lush shore of the Dominican Republic. If you are having medical treatment and also want stay where it is pretty, this is the spot. In its principle city, Puerto Plata is the Joaquin Lopez Marcos dental clinic of four dentists. You can email them at info@dentallo.com or call at 809-261-6776 for pricing information. There is a great range of activities to do and sights to see on the north coast, from astounding history— La Isabella, the first permanent European settlement in the New World— to astounding nature— the Bay of Samana, where whales come to calf and breed from February to April every year. And in between there is everything you possibly want to do on a tropical vacation including, but not limited to, water sports like fishing, Scuba, snorkeling, kite surfing and sailing, in addition, there are land sports like horseback riding, caving, rappelling, dirt biking. There are a greater variety of activities here than any similar destination in the Western Hemisphere. While recovering from surgery, you also have the opportunity to visit remarkable values in affordable property in the Dominican Republic. Farmland is getting increasing attention in the U.S., Canada and worldwide as a hedge against economic collapse. For one reason, you can grow your own food, and healthy, if it is an organic farm. A long, gated driveway leads to the main, three-story house. The kitchen has restaurant-quality cooking equipment and granite counter tops. The second floor has two master suites and an office. The third level is an airy, breeze-swept, grand salon. Family and friends can stay in the three separate cottages adjacent to the main residence. Altogether, there are 9 bedrooms, 9.5 bathrooms, plus the gardener’s cottage. 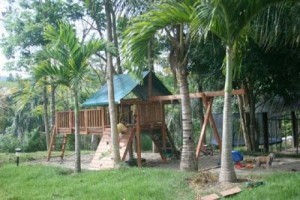 There is a jungle gym play area for children. Agricultural production of the farm includes a variety of herbs including chamomile, comfrey (comfrey juice mixed with pineapple juice is a good healer), lemon grass, basil, thyme, parsley, and wormwood. Vegetables include collards, zucchini, mesclun, romaine, tomatoes, and yucca. A variety of fruit is now growing: watermelon, passion fruit, ruby grapefruit, coconut, papaya, bananas, plantains, sugar cane, guava, and mangoes.